The goal of the P.O.W.E.R. (Positive Outcomes With Excuses Removed) Program is to decrease risk factors and increase protective factors. The program responds to seven risk domains: individual, family, school, peers, neighborhood, technology and health. It aims to increase self-esteem, improve family functioning, increase decision-making, and problem-solving skills, improve academic performance, increase community awareness of negative factors affecting youth, and promote healthy lifestyle(s) and behavior(s). The P.O.W.E.R. Program is unique in the sense that it brings an African cultural frame of reference along with emphasis on self-discipline, enthusiasm and critical thinking skills, community service, support and respect to/for parents-Elders, and care of younger children by older children. We believe that the project emphasis on culture as a protective/resiliency factor predetermines the utilization of a multifaceted, multiple risk factor approach in the African-American community and that a re-emphasis of cultural strengths will successfully combat the effects of a weakened cultural base, the effects of chronic racism (both institutionally and interpersonal), poor academic achievement, and poverty which have contributed to the notorious drug traffic, gang violence, prevalent alcohol and drug use/abuse, teenage pregnancy/infant mortality, and crime in general in Northview Heights Estates. It is our belief that a comprehensive prevention program for children, youth, and adults with emphasis on the African-American male would be instrumental in saving the lives of many children and young adults who feel “trapped” in Northview Heights Estates. While the P.O.W.E.R. Program cannot address all of the societal ills impacting residents (and their children) of public housing, it will have the capability of developing “protective programs” which, potentially may save the lives of those same children and adults by reducing the likelihood of their participation in violent self-destructive activities. The proposed approach to prevention represents an attempt at developing a prevention strategy that is culturally relevant to the African-American community. 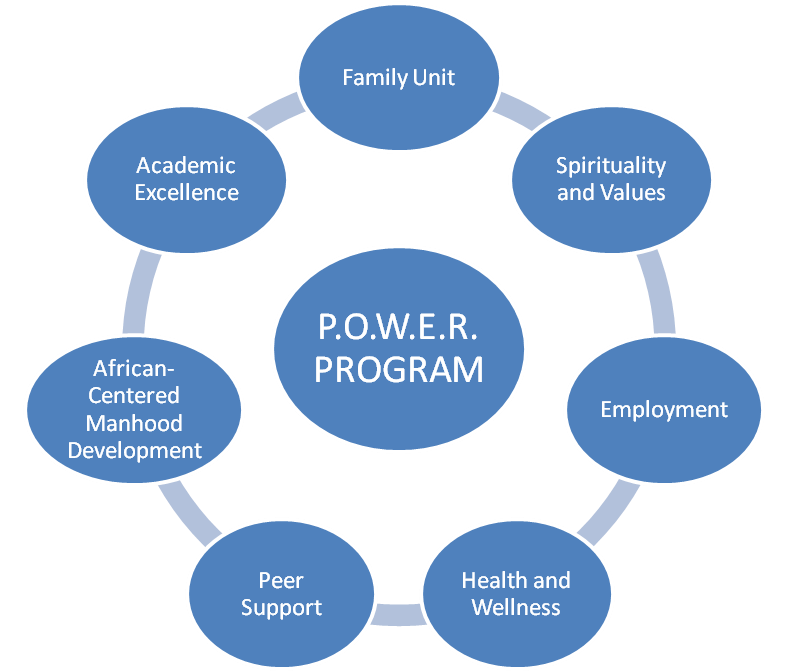 It realizes that programs directed towards the African-American community cannot just reapply standardized prevention models, methodologies, and materials that do not take into consideration the richness, uniqueness, and peculiar needs of the African-American community. Consequently, this project represents a pro-culture strategy as an alternative to the strong emphasis on typical anti-drug “just say no”, educational “stay in-school”, and the “stop the violence” prevention methods/strategies found in the majority of programs designed to target drugs, education, and senseless violence. This approach to prevention in the African-American community has evolved from our (Bethany House Academy) experience of providing prevention programs directed towards education, tobacco and substance abuse, health and wellness, technology competencies, community development in Northview Heights Estates. Early on in our prevention experiment, which began in 1962, we realized that the nationally acclaimed, standardized and generic prevention models of yesteryear had very little applicability to our African-American youngsters. While it is true that all programs/models/materials have the potential for impacting some lives and that if you’ve never had any kind of programming, some kind of programming is better than no programming at all, we at Bethany House Academy have always had higher standards for the African-American communities that we serve. Assist young people in attaining inspired knowledge and accepting the responsibilities, privileges and duties of a valuable member of society and to promote positive, effective life choices.